It is mutually agreed and understood that all staff have been tentatively reserved and will not be guaranteed to The Client until a signed copy of this Letter of Agreement and contracted initial 50% deposit have been received by us. 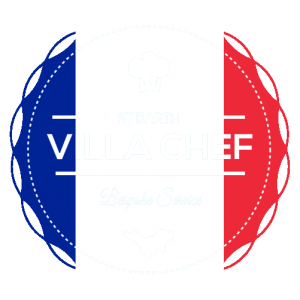 The final payment is required at the end of the stay – Food, chef/waiter service invoices – will be given to The Client one day before or on the day of his departure. Deposit payment of 50% made is not refundable and cannot be used as credit for future events or other purposes. If the cancellation is less than 15 days before the date, the full amount of the event will be due. Quotation will remain valid for the ‘exact event and conditions according to your request. Kindly note that prices quoted may be subject to change, depending on change in event requirements / dates. 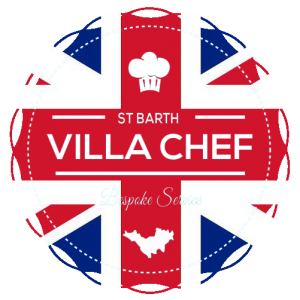 Under special agreement, Villa Chef St Barth may accept USD payment (applicable for overseas clients only). Payments can be paid by bank wire (+ charges), Credit card (except amex) or cash. The contracting parties accept and agree that the payment will be in Euros. We are not responsible for any bad weather and if you have to cancel your event due to weather condition. Please let us know if you, or any members of your family and guests, have an allergy or food restriction. Our Chefs have an exhaustive list of dishes – we are familiar with Vegetarian, Vegan, Gluten-free and Kosher diets.